What can I say? 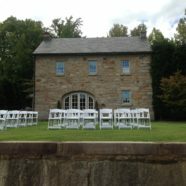 Love, love The Mill at Fine Creek, a fine venue with a history that belies Monticello. The Mill is built on a ruins—a mill once owned by Thomas Jefferson’s grandfather. What I really love about The Mill at Fine Creek, though, even more than its history, is the Creek itself. It is slow moving, and with gentle, luscious green creek banks. It has a je ne c’est quoi, a spirituality. Like elfs or sprites must live under mushrooms there. Who knew? 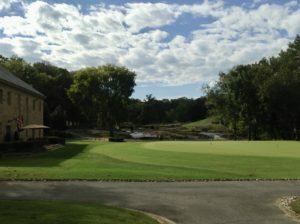 The Foundry Golf Course is situated along that same creek—same outcroppings, same spiritual ambiance. It is across the road from The Mill. The Foundry just began making its property available for weddings. What took it so long? The beautifully decorated Club House and veranda are ideal for smallish wedding receptions. There is large expanse of land for the placement of chairs for your wedding service, too. 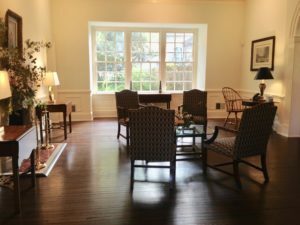 All—the Club House, the veranda, the expanse of land, PLUS a generous parking lot, are in close proximity of each other. That means your guests won’t be wishing they had worn hiking boots—which is so often the case with guests at wedding venues this officiant has visited. The Foundry (as the Mill) is a short twenty minute drive from Short Pump, Virginia. Short Pump is a well-developed business district with restaurants and hotels and stores and more stores. It is an ideal place for your wedding guests to sleep, shop and dine. Plus, the Richmond International Airport is close by. That is something your out-of-state/out of country guests will appreciate. A wedding at The Foundry, that’s me, officiating for Brigitte and Frank! 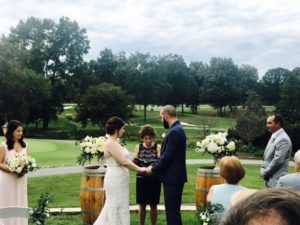 Let me suggest, then, that you consider the Foundry Golf Course for your wedding venue.